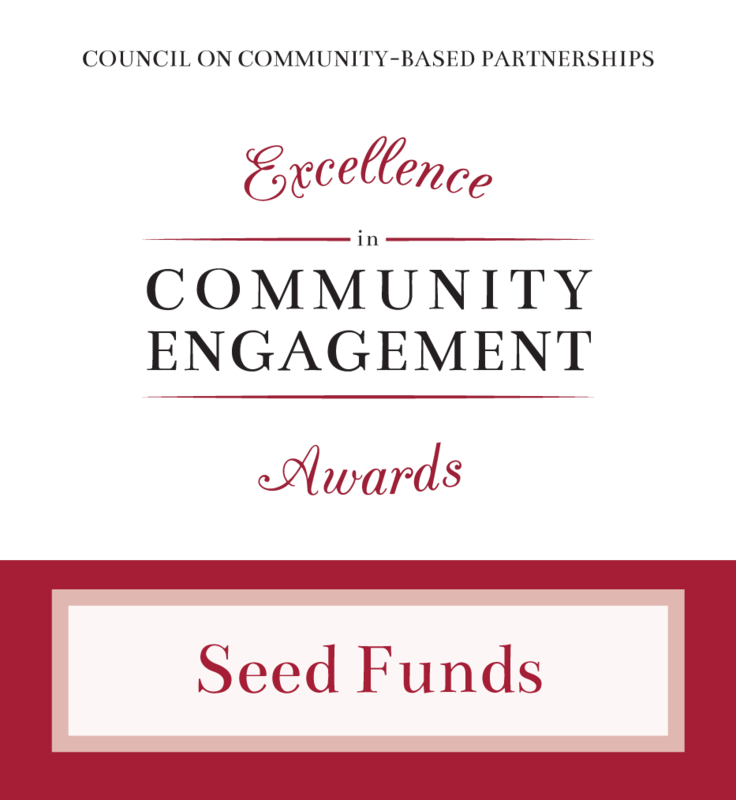 The Council on Community-Based Partnerships seeks proposals for seed funds for research projects as part of the Thirteenth Annual Council on Community-Based Partnerships Awards Luncheon to be held at the Ferguson Student Center Ballroom on April 17, 2019. For more information please contact Dr. Martha Crowther, Chair, Proposal and Seed Funding Committee, at mrcrowther@ua.edu or (205) 348-7802. Funds will be available October 1, 2019–August 7, 2020. Recipients and department accounting officials will receive notice when the funds are available and instructions on how to process related expenses. Award recipients must follow all university purchasing guidelines and spending policies as well as these additional guidelines: Purchase of personal computing equipment (e.g., tablets, laptops, desktops, cameras) is not allowed; recurring operating expenses (e.g., monthly telecommunication charges, utility charges, copier program charges) must not be made against the awards; payment for salaries or stipends and monetary participant incentives are not allowed; completed Entertainment Expense Forms or a document that provides information collected by the form will be required for all food purchases. A detailed report outlining how the award was spent (including the original approved budget) will be due to the Division of Community Affairs (Box 870113) by September 4, 2020. The packet will be reviewed and the recipient’s department will be asked to provide, by September 18, 2020, information to explain any questionable expenditures. The department will be responsible for funding unapproved expenses, and these must be transferred to a departmental account by September 30, 2020. Direct questions related to award guidelines to Carol Agomo at (205)-348-7405 or cnagomo@ua.edu.